Beautiful and bright upper level end unit condo with attached 1 car garage. Spacious open concept floorplan offers a large family room area with corner windows and a large sliding door to access the covered deck. Nicely appointed finishes include crown molding, recessed lighting and white cordless wood blinds (open and close by touch vs cords), warm neutral paint colors, ceramic tile and laminate floors. Spectacular, open kitchen includes stainless steel appliances, large island with sink and dishwasher, and counters that accommodate a bar seating area. Nice sized pantry completes this kitchen which is open to the dining room. The two bedrooms and bathrooms are large and bright with lots of natural light. Location can't be beat! Walking distance to miles of walking and biking trails. 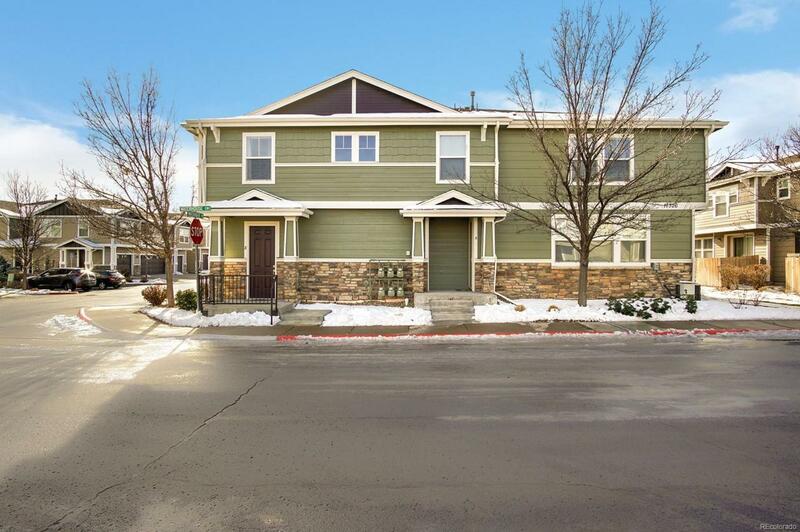 Easy access to 470, the Denver Tech Center, and Park Meadows Mall.